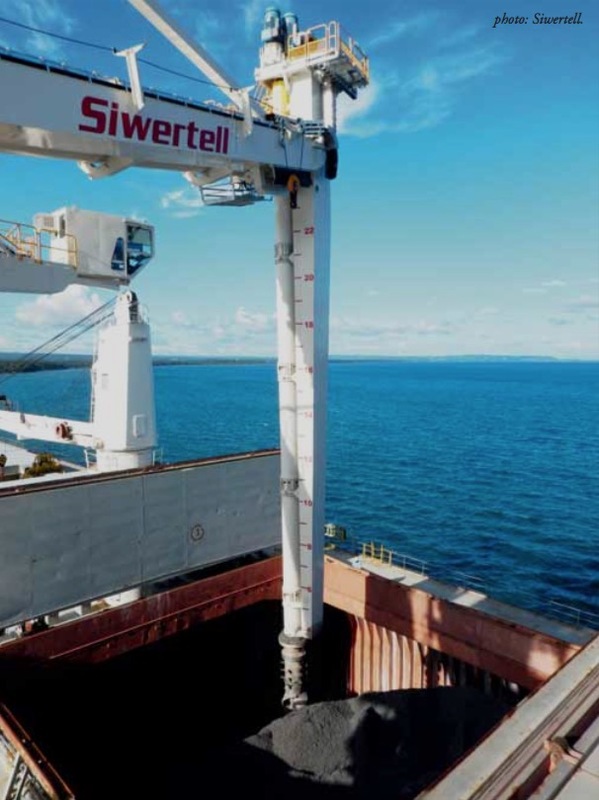 Siwertell, part of Cargotec, has received an order from PT Asahimas Chemical, one of AGC Asahi Glass’s consolidated subsidiaries in Indonesia, to provide coal unloading and conveying equipment for installation at its chemical plant site in Cilegon, Indonesia. The coal is used to generate power for the plant. The order was booked into Cargotec’s 2016 first quarter order intake. “An increasing number of operators around the world are appreciating the virtually dust-free nature of our unloaders, loaders and conveyors,” says Pierre O¨hrwall, Siwertell Sales Manager. “For this client, extremely clean coal handling is absolutely essential, because any significant amount of coal dust would have the potential to contaminate the chain of production processes at the chemical plants. As an indicator of the importance placed on cleanliness, the coal stock is stored undercover. Dust emissions at the transfer point from the unloader to the conveyors are controlled by Siwertell’s standard arrangements; the conveyors have cover belts and the unloader has belt lifters with dust-extraction filters. “Asahimas Chemical will also benefit from Siwertell’s other well-known qualities including high performance, low energy demands, reliability, ease of operation, light weight construction and excellent, global after-sales service,” adds O¨hrwall. Siwertell is part of Cargotec. Cargotec’s (Nasdaq Helsinki: CGCBV) sales in 2015 totalled approximately €3.7 billion and it employs almost 11,000 people.